"Renovated alcove studio with new kitchen, tons of closets, Tilt and Turn windows, partial river views. Full service building with free gym and separate garage. Tenants pay under $200 per month. 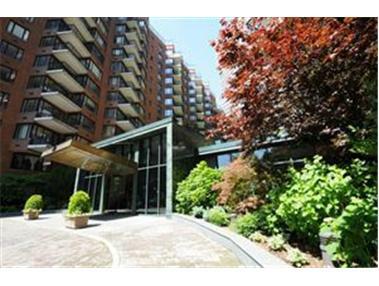 Apartment overlooks beautifully landscaped entrance to RiverHouse""facingSouth."""